In learning how to make candy it is interesting to know a little about the history of candy. In early civilizations, sugar was unknown but sweets were supplied from natural sources like honey and the sweet saps from trees and canes. The convenience of sugar made the production of sweet products much simpler. Candy became recognized as a valuable food to children to help replace the energy that they burned. NOTE: For making COOKED CANDIES, I recommend not using any substitutes, especially the corn syrup or multiplying the recipe; I have found these to produce less than perfect candy. When you are learning how to make candy is is best to use tried and true recipes. It is easy to accomplish Painless Cooking with the “no cook” candy recipes but a candy thermometer is a great investment for those cooked candy recipes. These below are all great recipes that I have used for years. NOTE: When using granulate sugar, you cannot go wrong by purchasing the “extra fine” type. I even highly recommend the extra fine sugar for use in cakes and candy making because it dissolves better. 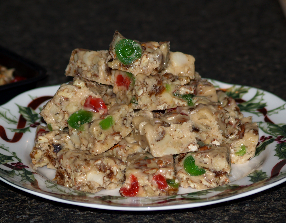 The most popular candy recipes over the years have been Mamie Eisenhower fudge, Scottish candy, chow mein noodle candy, almond joy recipe, oatmeal candy, cornflake recipe and pralines. 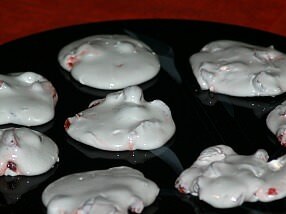 Peppermint candy recipes; cream cheese mints, peppermint hard tack, taffy, peppermint bark and peppermint potato candy. Making Candy recipes with necessary candy equipment; recipes for hard tack, coconut balls, fudge, peanut clusters, persimmon candy, cranberry macadamia candy and pecan logs. 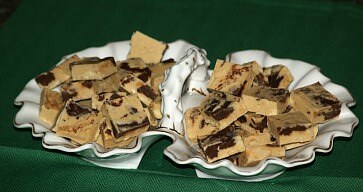 Fudge recipes; old fashioned peanut butter, easy marshmallows and penuche. My favorite homemade caramel candy recipes: creamy soft caramels, vanilla caramels, caramel nut roll and a marshmallow recipe. Make my favorite salt water taffy recipe plus a creamy pull candy, a brown sugar taffy and a basic to taffy to flavor and color as you like. 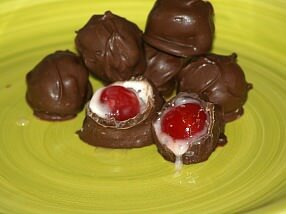 Make my favorite chocolate covered cherry recipe. Plus a delicious recipe for a no cook fondant and a recipe with coconut. 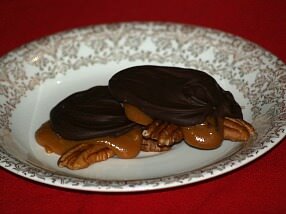 Make fabulous butter toffee recipes: microwave toffee recipe, 2 English toffee recipes, an almond toffee recipe, chocolate swirl almond and a Health bar candy recipe. 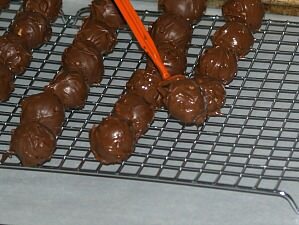 The temperature that the candy recipes must be cooked at is the most important factor in candy making. You will be more more exact with a good candy thermometer. You will learn this if you know how to make candy. Making hard candy recipes; casting, molding, marking and storing it; recipes for basic syrup, candy apples, butterscotch candy and more. 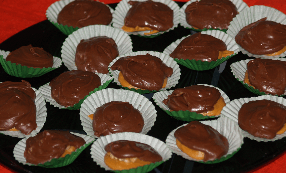 Make the best peanut butter candy recipes. I included the old fashioned recipe my Mom taught me. Plus a chocolate peanut butter fudge, a peanut butter bar candy, peanut butter fudge, no cook peanut butter roll, two tone fudge, chocolate peanut butter fudge, no bake granola balls, Novaks, Buckeyes, peanut butter taffy, Hershey's cocoa fudge, potato pinwheel candy, cracker candy, Scotcheroos and peanut butter balls. 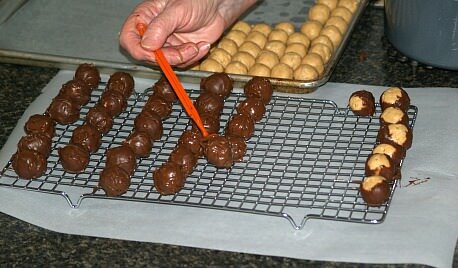 Dipping chocolate requires some special utensils and tips; recipe for peanut butter balls and cream fondant. Making Easter candy recipes is more fun and more economical when you have children; it can be shaped like eggs or bunnies just like you can buy. It is always fun for the children to learn how to make Easter recipes. Divinity recipes and instructions on how to make it successfully; recipes for divinity, an easy recipe, never fail divinity, vanilla sea foam, chocolate sea foam and divinity fudge. Make delicious truffles recipes. 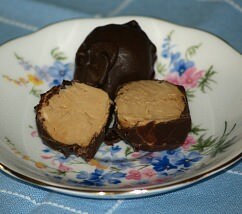 One of my favorite is the coffee cream cheese truffle. 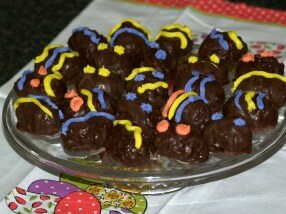 Also try a chocolate cranberry, tipsies, Christmas balls, two chocolate truffles, candy fruit truffles, hazelnut . crisp chocolate, cherry date holiday balls and red velvet bon bons. 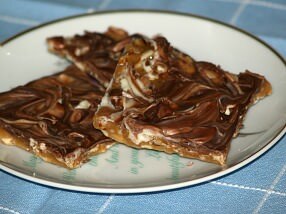 Make the best nougat candies. Try a recipe for nutty nougat, Montelimar nougat, old time nougat, lavender almond nougat, chocolate dipped honey nougat, chocolate nougat and French nougat. Learn how to make candy kisses. 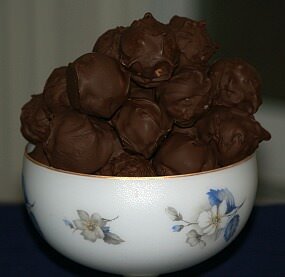 Try a recipe for mint julep kisses, crispy fudge kisses, mint flavored, butterscotch chocolate nut, chocolate peanut butter, nougatine kisses, taffy, Kahlua, peanut butter molasses, small chocolate kisses, pecan nut, coconut, creamy maple kisses and raisin nut kisses. 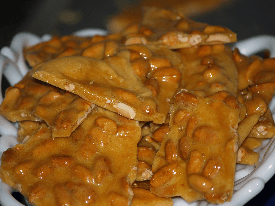 My sister’s Peanut brittle recipe, a spun peanut brittle recipe, two microwave recipes, a Spanish brittle and a coconut brittle. 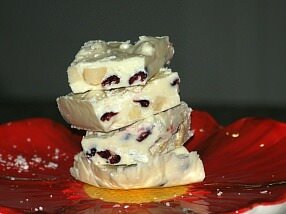 Make the best gourmet fudge recipes! Make a basic chocolate fudge, a baked fudge, Louisiana cream fudge, a chocolate fudge in an electric skillet, electric skillet peanut butter fudge, a mint fudge, macadamia fudge, a buttermilk fudge, a white cherry nut fudge, a white chocolate black walnut fudge, a traditional Christmas fudge, a sour cream fudge and a dreamy peanut butter fudge recipe. Christmas fudges; white chocolate with pecans, candied fruit and nut, maple nut fudge, orange fudge, sour cream fudge, never fail and cocoa recipe. Learn how to make candy fondant with basic recipes for acid fondant and syrup fondant; make chocolate, coffee, maple and no cook. Learn how to make microwave candy recipes. These recipes are quick, easy and delicious! Read thoroughly your entire candy recipe. Assemble and measure all ingredients; prepare pans and all equipment before starting. Never double candy recipes UNLESS the recipe states it can safely be doubled. Pick a day with low humidity to make candy especially if the candy is to be cooked to temperatures above 250F degrees; hard ball stage. Use a good CANDY THERMOMETER for best results. Use pure cane sugar or sweetener called for in the recipe; never substitute. 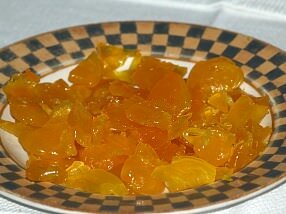 Spraying utensils with oil spray helps with the cleanup of cooked candies like caramels, taffy and hard candies. To cook candy use heavy saucepans with smooth inside finish and flat outside bottoms; Make sure pans are large enough to prevent boiling over. Use moderate heat when cooking candy to prevent scorching. When candy thermometer reaches desired temperature, remove pan from heat immediately and pour as soon as possible to prevent over cooking. Work quickly after candy reaches desired temperature; mixtures cools quickly and becomes too stiff to spread. If mixture becomes too stiff before shaping, SOMETIMES you can reheat gently over boiling water to be able to spread. Candies are either crystalline in structure (composed of minute crystals) as in fudge recipes or fondants or no crystalline like the taffies, brittles and clear hard candy. The temperature or concentration to which the liquid is cooked decides the type of candy whether soft, chewy or hard. The manipulation of the candy after the cooking determines the texture whether grainy or smooth.Because of the delicious flavor of homemade candy, the art of candy making became an excellent aid to popularity. 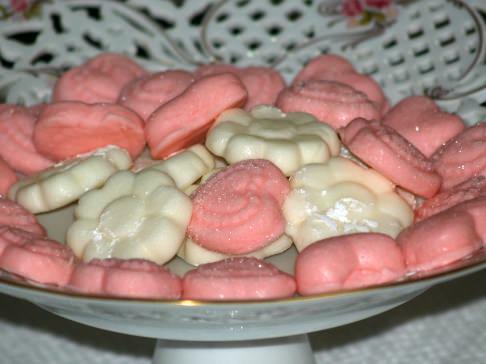 A host who served a variety of homemade candies when they entertained was admired for their ingenuity. Many of these candy makers began attractively boxing homemade candies which became desirable gifts. With the demand for these gifts, many candy makers turned their interest into a source for making money. When learning how to make candy, you will find the fundamental principle of candy making is to select the best ingredients and to follow carefully the directions of the candy recipes. As in all cooking, it is best to use good quality ingredients. There is no place in cooking where inferior ingredients are reflected more than in candy recipes. Nothing is more discouraging than to go to all the trouble of making chocolate covered cherries than to use a poor quality dipping chocolate and have them turn out lumpy and an inferior product. I am sure you will see when you learn how to make candy that Candy making is one of the most interesting forms of cooking because of the wide variety of candy; caramel candy, butter toffee, divinity and many more. 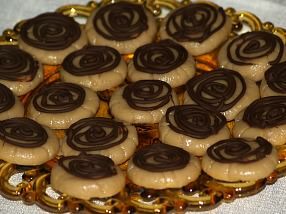 Chocolate is the favorite flavoring of the world and there are innumerable chocolate candy recipes. Fruits, nuts and flavored extracts like peppermint are also popular lending notes of distinction to some types of candy. You will find different sugars, honeys, molasses, syrups and food coloring can be added to produce unique results. The world of candy making is wide so learn, experiment and have fun. Many recipes have existed as popular candy recipes for decades; named for famous people, famous places or maybe just easy to make like fudge. 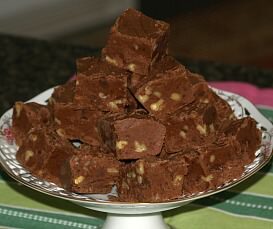 When most people are learning how to make candy they find it easiest to start with fudge recipes. It was the first candy that I tried and many of my friends only make Christmas fudge. Fudge is almost everyone’s favorite type of candy and the only kind they care to make. If you learn how to make fondant, different favors and ingredients produce many delicious candies when dipped in chocolate. Combine sugar, butter and milk in a heavy saucepan; bring to a full rolling boil stirring constantly. Continue boiling 5 minutes over medium heat stirring to prevent scorching. Remove from heat and add chocolate chips and stir until melted. Add marshmallow cream, nuts and vanilla; beat until well blended. Pour into a buttered 9 X 13 inch pan; cool at room temperature. 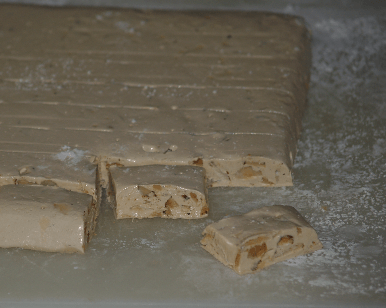 When learning how to make candy most will refer penuche as a fudge. I think of fudge recipes as chocolate. 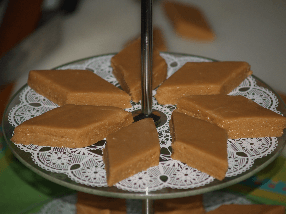 Penuche recipes are made with brown sugar and have a delicious caramel flavor; often with nuts added. It does have the same fudge texture. Melt butter and add brown sugar; cook over low heat 2 minutes while stirring constantly. Add milk and continue cooking and stirring until mixtures boils. 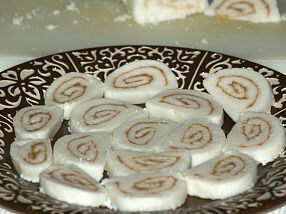 Remove from heat and cool; gradually add powdered sugar until mixture is of fudge consistency. 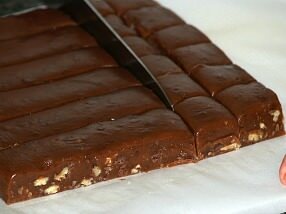 Blend in nuts and spread in a buttered 8 inch square pan; cool and cut into small squares.